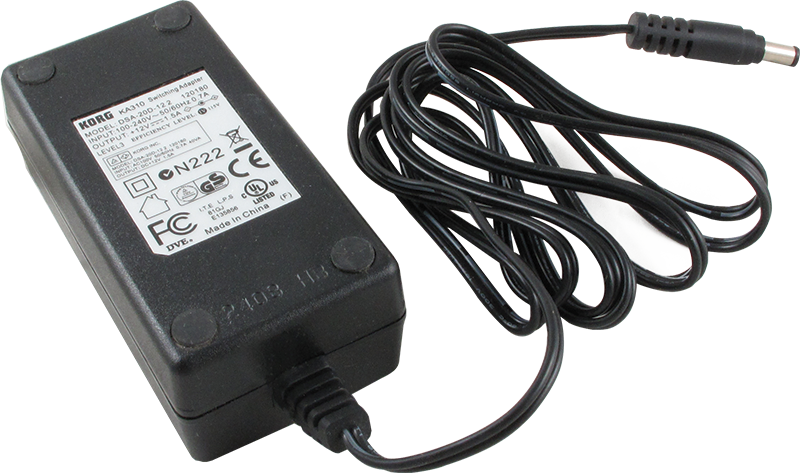 Korg Power Supply, KA-310 adapter for X50, MicroX, R3, MR1000, or SP170. Please note that this requires an AC power cord to make it useable. We sell this cord and the part number is S-W128. Packaging Dimensions 5.1 in. x 2.8 in. x 2.3 in.